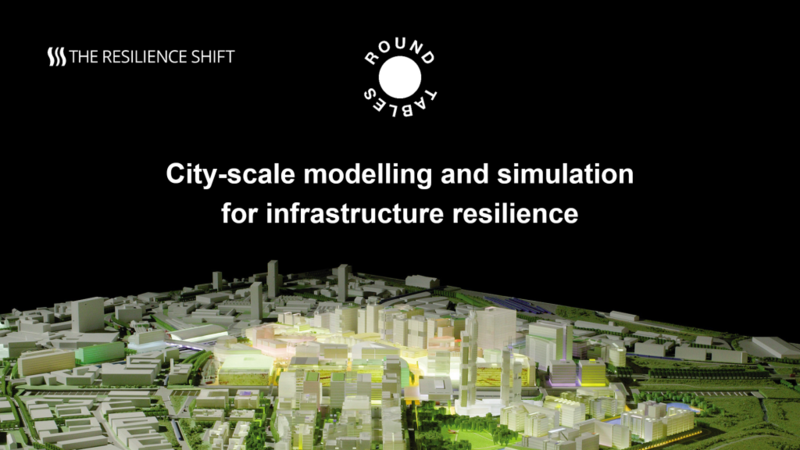 Related to our work on tools and approaches, we want to understand where city scale models fit in to changing resilience in practice, and what the gaps are between theory and practice. 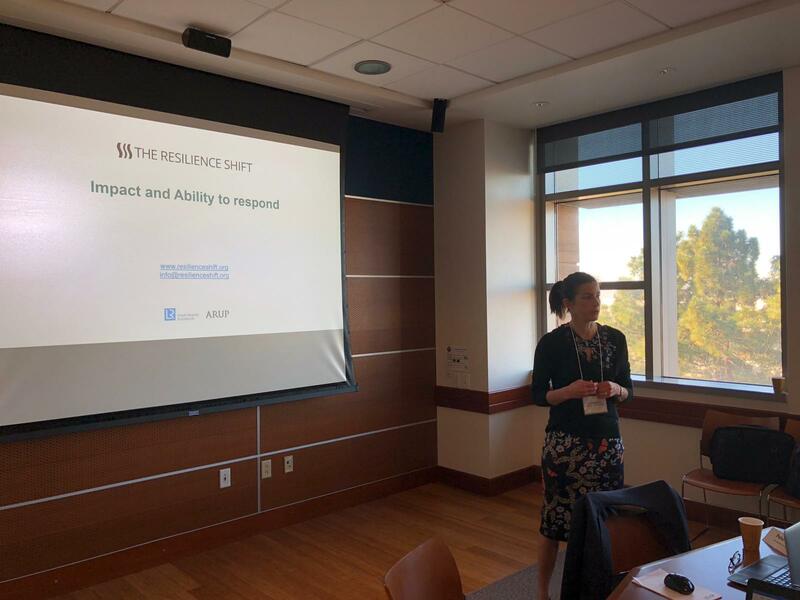 The third of the Technical Advisory Group’s round-table series for the Resilience Shift took place on the 24 and 25 January at the Centre for Information Technology Research in the Interest of Society (CITRIS) at UC Berkeley, California. The event focused on the role of city-scale modelling and simulations in improving system-wide infrastructure resilience. This event was very useful for the Resilience Shift as it provided a unique opportunity to unite academics with the public and private sectors. There were insightful discussions on the use and application of modelling tools to support infrastructure resilience. Several participants reported that there are few such opportunities for academics and infrastructure operators to interact directly and engage in such productive exchanges. Continued opportunity for asset owners and modellers to communicate in this type of open forum, so that asset owners can better understand what models have to offer. In order for the models to be as effective as possible, more data is needed. Not just physical data, but also data on organisational structures, human responses and political objectives. More discussion is needed on how to practically operationalise resilience through the use of city-wide modelling of infrastructure systems and interdependencies. Developing performance objectives for utility owners and operators could help to operationalise resilience for all actors involved in the infrastructure life cycle. It was suggested that future round-table events could bring to light the range of options available for large-scale financing for infrastructure resilience. 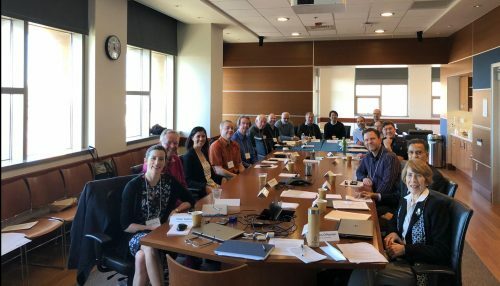 The round-table drew together academics engaged in resilience modelling from UC Berkeley with delegates from both public and investor-owned utility organisations. Those represented included Caltrans, the Los Angeles Department of Water and Power, Pacific Gas & Electricity and East Bay Municipal Utility District. 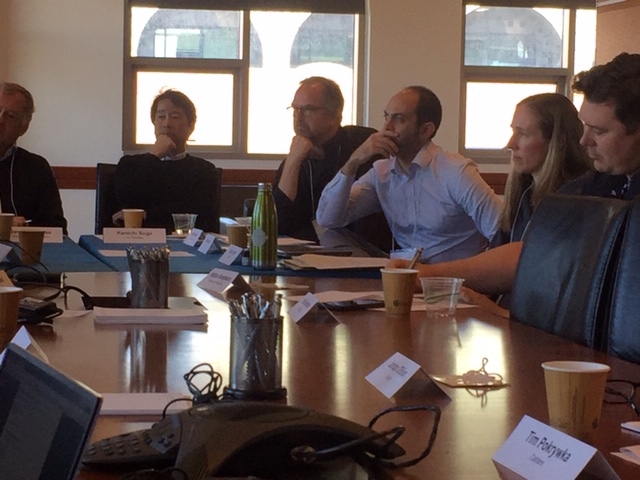 Resilience planners from the San Francisco Bay Conservation and Development Commission, Google, the Electric Infrastructure Security Council and the City and County of San Francisco were also present. We designed the format of the round-table to facilitate the highest level of interaction between stakeholders. 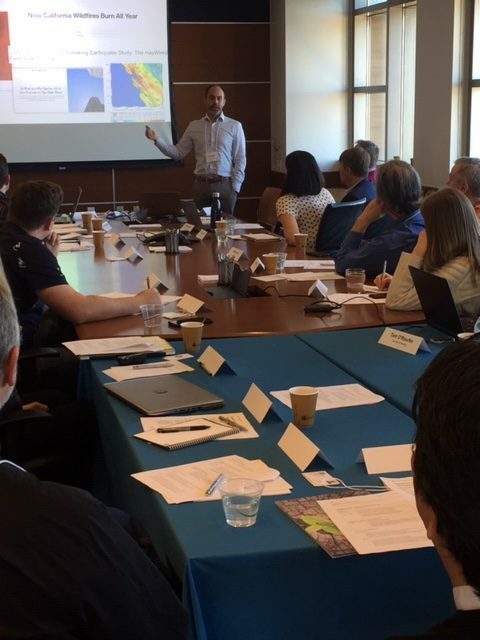 On the afternoon of Thursday 24 January, we began with fast-paced presentations from LADWP, City of San Francisco, EBMUD, PG&E, Caltrans and Google’s Real Estate and Workplace Services Group. Each presenter gave a short summary of the role that resilience is taking in guiding strategy within their respective organisations. These presentations facilitated discussion on how models can be used to support the resilience goals of the public and private sector. Several professors from UC Berkeley then gave presentations including Professor Paul Wadell demonstrating the UrbanSim model, Professor Sanjay Govindjee presenting the SimCentre model, Professor Khalid Mosalam from the Pacific Earthquake Engineering Research Centre (PEER), Professor Mark Stacey demonstrating tools for modelling sea-level rise and Professor Kenichi Soga presenting the CB-Cities model. An exercise which explored a range of shocks and stresses completed the activities for Thursday afternoon. Early on in the design of the round-table series, the Technical Advisory Group identified that significant value can be drawn from structuring the event over two days. For the UC Berkeley round-table, this allowed participants to reflect upon discussion overnight. On the morning of Friday 25 January, the round-table participants discussed trends and findings from the previous day’s shocks and stresses exercise. 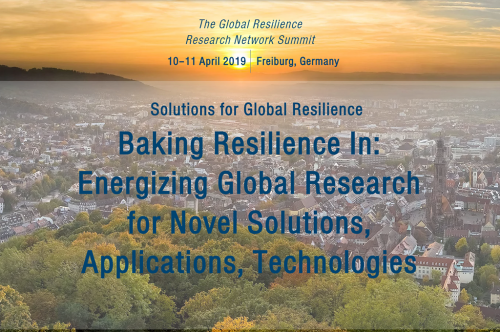 Presentations were given by Professor Louise Comfort on organisational resilience, Dr. Alison Post on urban policies for resilience, Dr. Chris Beck from the Electric Infrastructure Council (EIS) and Professor Tom O’Rourke from Cornell University. It quickly became apparent that, along with earthquakes, threats to infrastructure from climate change such as sea-level rise, wildfire and drought were top of the list of concerns for the public and private sector representatives. Despite the high risk of earthquakes within the region, it was reiterated that participants felt the Bay Area was better equipped to respond to earthquakes than to climate risks. This is perhaps due to the high level of financial and organisational investment in earthquake preparedness and response in the region. In contrast, it was felt that there was significant uncertainty associated with the scale of environmental risks. Representatives from state-led organisations noted there is opportunity for modelling tools to support with decision-making on climate change adaptation strategies. Several of the modellers had acquired robust data sets of physical properties and attributes from the utility operators. Nonetheless the discussions revealed that organisational structures, human responses and political objectives all influence how infrastructure is managed and used, but, as of yet, there are few models that account for these influences. Modelling allows for a range of scenarios to be enacted, which helps to identify the benefits of resilience-based design. Representatives from the utility companies and government groups were very interested in the use of models but felt that their capacity to incorporate models into operations is limited. 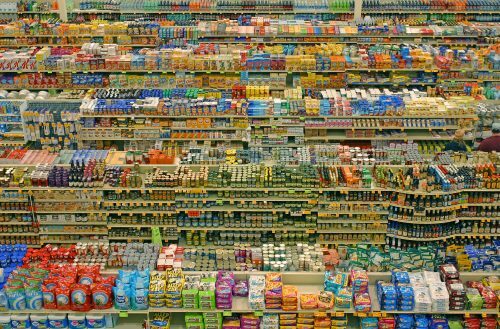 There was also uncertainty over how such models could be configured to support operational decisions. Further engagement between modellers and regional authorities will allow for modellers to enhance model interfaces and outputs, which will enable better ease-of-use for utility companies. This type of collaboration can lead to the development of tools based on the needs of the end-users. Collaboration will allow modellers to better understand the limitations of their models and to become familiar with the kinds of decision-making environments in which their tools could be used. The discussions highlighted that in fact, the barriers to embedding resilience into infrastructure design and management are not technical. 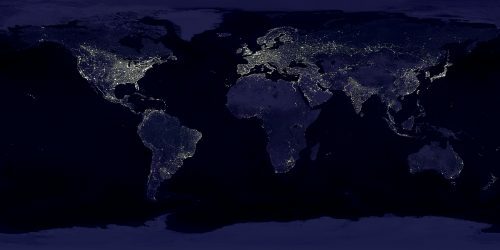 Technological innovation, such as city-scale modelling, can inform the human decision-making process within the organisations that manage infrastructure. The main barriers to better resilience planning are social, economic, financial and political. Most cities and regions are administered by multiple organizations with multiple levels of oversight authority for infrastructure. Changing the mindset and culture of these agencies remains one of the principal challenges for resilient infrastructure. With thanks to all participants. Find out more about Resilience Shift round-tables. Impactful learning from black sky exercises – what really matters in a crisis? Critical infrastructure resilience was put to the test using the Earth Ex simulated disaster event, exploring how interdependencies work in practice.